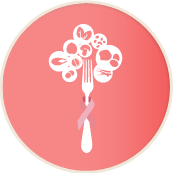 Nutrition is one of the factors, causative or protective, which may affect the development of a tumour. This could increase the risk of malnutrition due to the disease or the treatment resulting in the individual’s health worsening. Weight loss may increase morbidity and mortality relating to the disease’s treatment. The service’s goal is to offer, in collaboration with the attending doctor, the right nutritional advice or/and nutritional support as part of a complete plan of treatment.